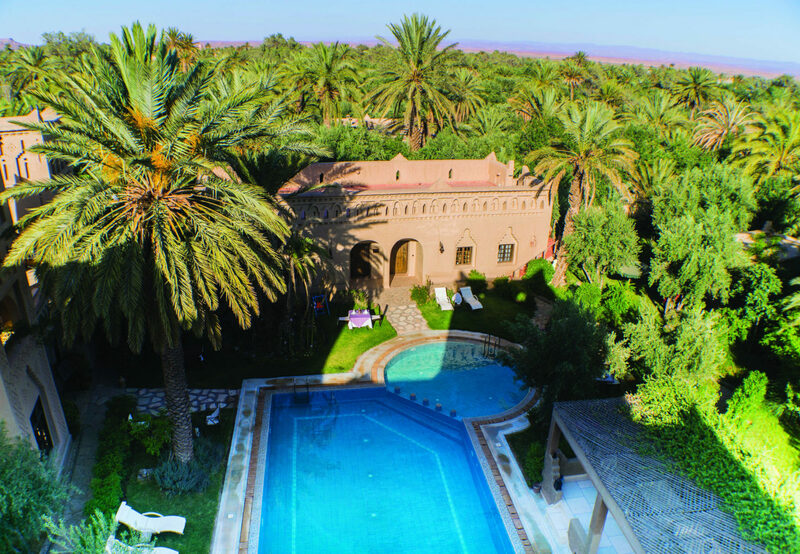 The immense palm grove of Skoura – dotted with atmospheric, crumbling kasbahs – is the captivating setting for this alluring boutique hotel. 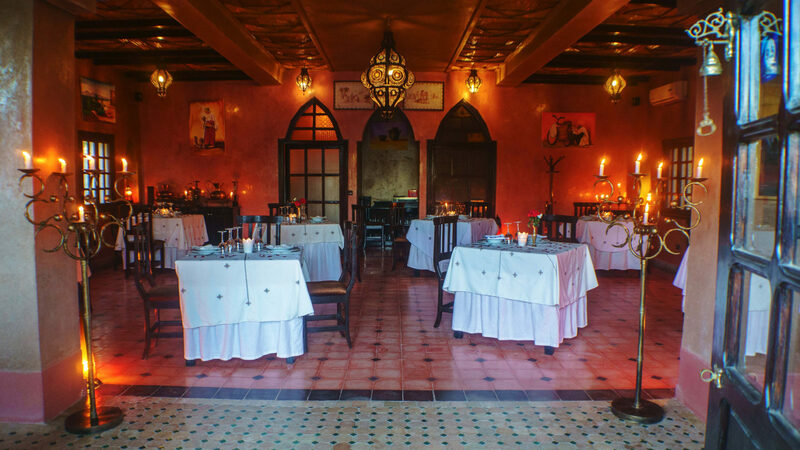 Constructed from 100-year-old stones, the carefully restored Ksar El Kabbaba enjoys a serene location amidst lush greenery in the historic town of Skoura. 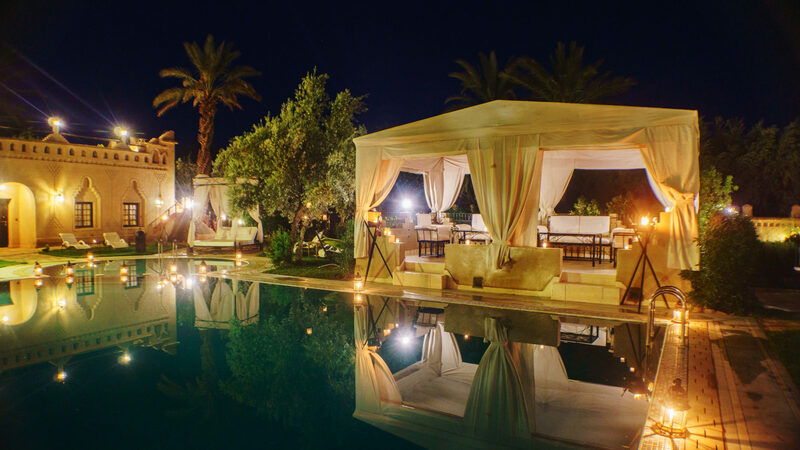 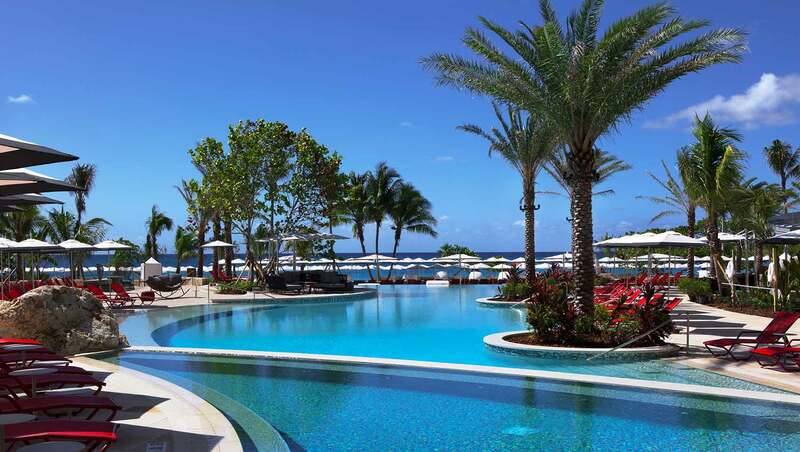 It’s expansive and beautiful gardens, centred around an ancient olive tree and dotted with hammocks, provide the perfect place to unwind - especially in the evenings when lit by glittering lanterns and candles. 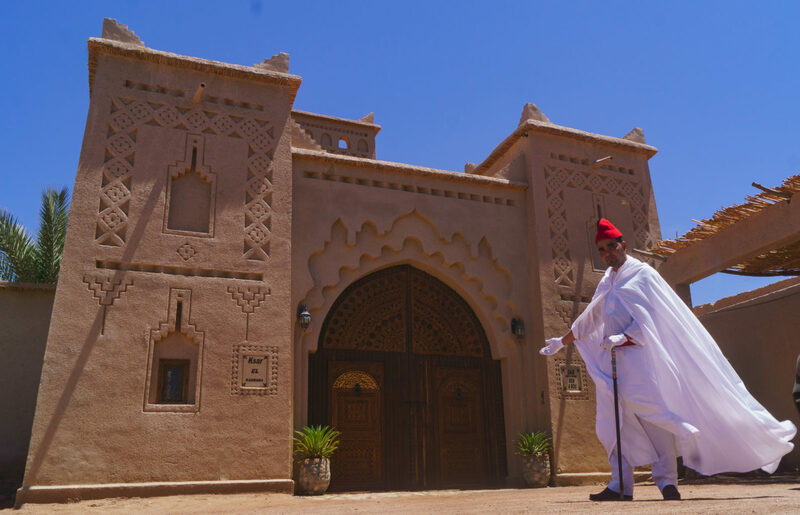 Featuring the same the earthen, mud-brick buildings so typical of the region, the hotel sits harmoniously and majestically amidst the towns ancient kasbahs. 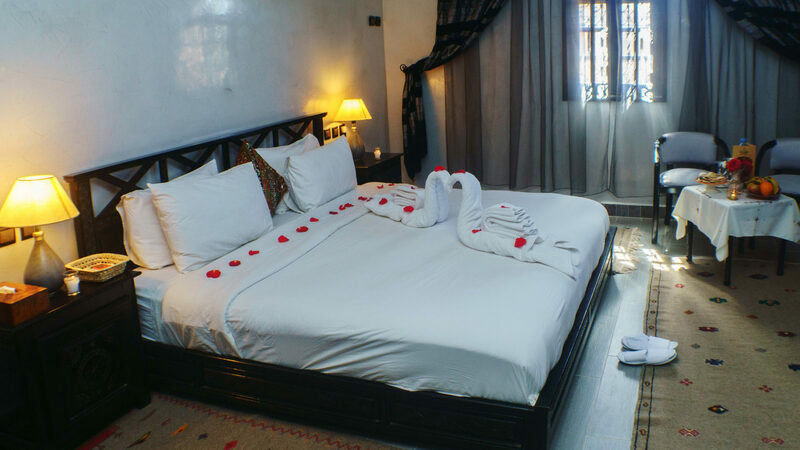 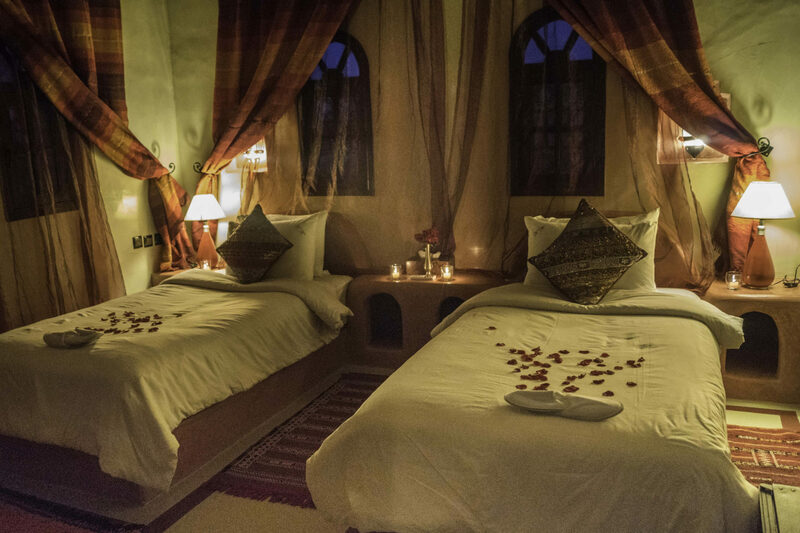 Guests can choose to stay in either a room, suite or riad, the latter of which is fitted with two bedrooms, a lounge and fireplace. 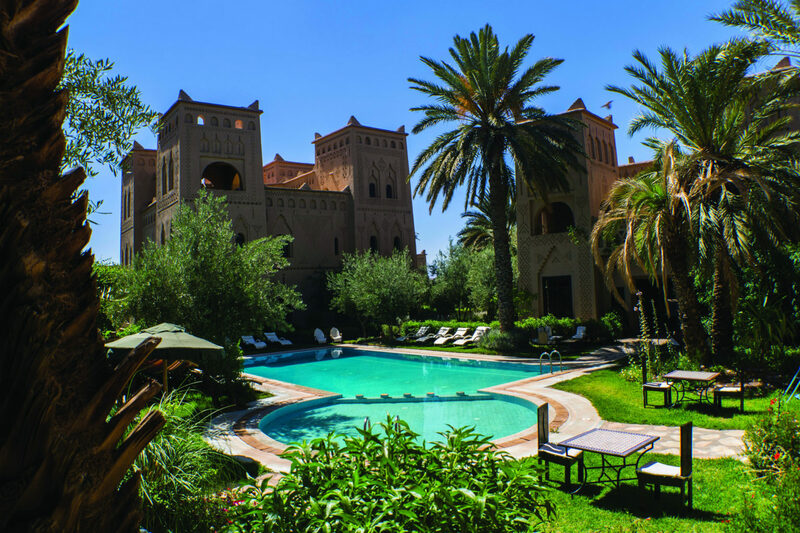 From here, you can set out on hiking, biking and camel-riding excursions in the surrounding area, enjoy a picnic in the grove or venture further afield to explore the city of Ouarzazate.